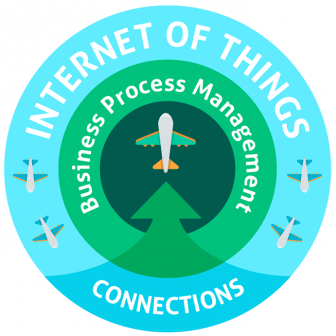 Business Process management (BPM) is a vital component of any device that has IoT connectivity. Its role in terms of the internet of things is to determine what is to be done with data received from other devices. With the exponential increase in the number of such devices available on the marketplace, the potential for miscommunication is only increasing and this poses a significant security risk for both end users and the developers of such devices alike. BPM uses workflow to connect smart objects through applications API’s, connecting the users system to the correct automated systems and processes, thus enabling apps to perform their function. The added benefit of BPM is that because it is event driven, it provides a wealth of data about what, where and when (GPS / WiFi) connections are made and for what purpose (tracking data). We are talking about here is a big data source of user habits. For developers, BPM enables the monitoring of user actions across all application types, it creates clear visibility as well as providing performance data allowing developers to fix problems even before they effect users. With regards to extending Agile to DevOps, BPM improves operations by enabling the tracking of both operations and their devices, as well as with service based process automation, routing user queries to where they need to go. codeBeamer Application Lifecycle Management software is designed to manage complexity, which is why it is ideal for use with BPM (why we integrated it). It can be used to manage far more than application development complexity, by integrating codeBeamer ALM with other enterprise software (ERP). The obvious example here is PLM software, which when integrated can be used to manage the entire product lifecycle management lifecycle, all within codeBeamer ALM. codeBeamer’s integrated BPM can manage ALM integration processes bringing together the software and hardware under one roof. codeBeamer’s Business Process Management (BPM) system, integrates people, processes, tools, systems and devices (“Things”) all within the ALM, PLM lifecycle.